My job responsibilities include keeping the doctors on task, client education, coordinating surgery and anesthesia, keeping the clinic presentable, and many other aspects of veterinary care. 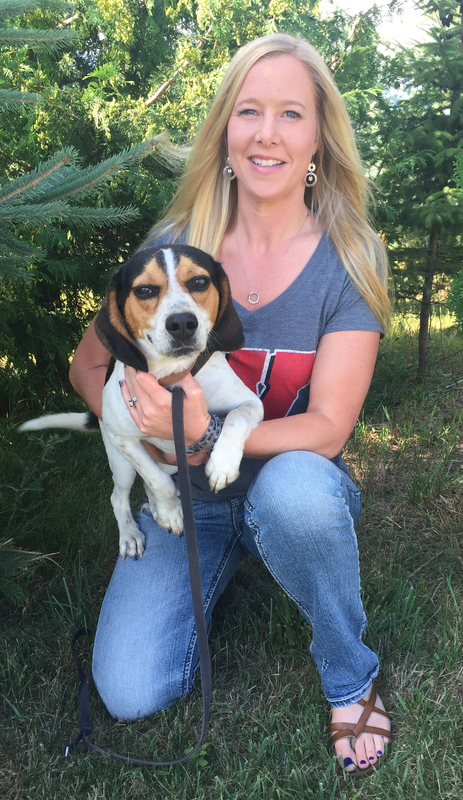 I am originally from Sturgeon Bay and have always had a interest in animals and have been working in the profession since 2002. I am an experienced licensed veterinary technician and have had numerous years of experience a referral clinic mostly working with orthopedic surgery, specialized cases and surgeries. 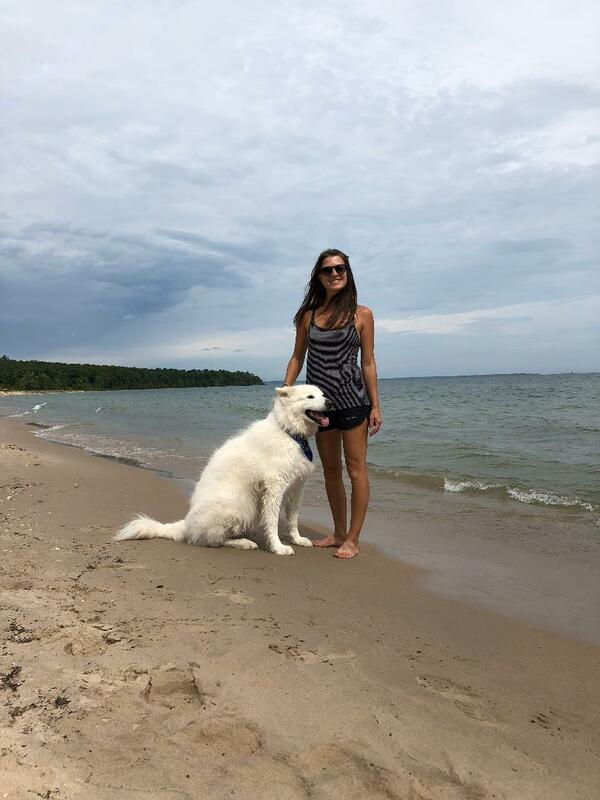 I started at Luxemburg pet clinic in January 2016, and now currently work at Door County Veterinary Hospital. In my free time I enjoy spending time with my Daughter, hunting, fishing and doing taxidermy. My name is Sonja and this is my Pittie, Tank. My job here is to schedule appointments, answer phone calls, weigh in the animals for the appointments, and help the rest of the team with what they need. 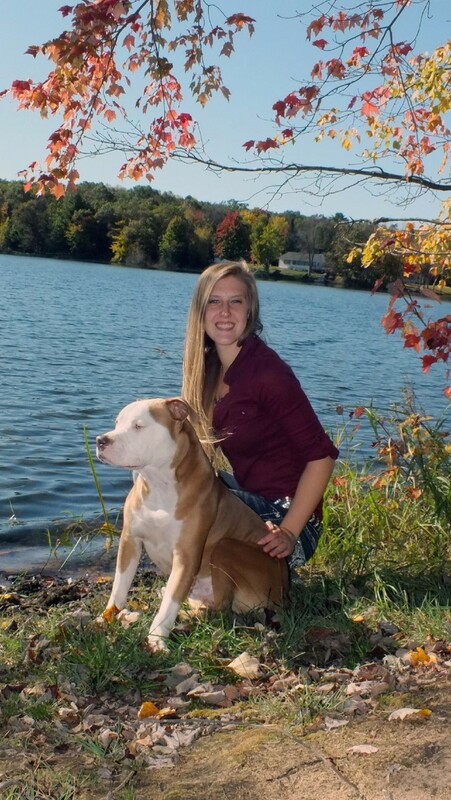 When I’m not at work I love to spend time with my two dogs, Tank(pictured with me), and my other pit bull, Athena. On the weekends we love to adventure near and far with friends and family!